The undisputed king of comedy in Kenya, Daniel Ndambuki alias Mwalimu King’ang’i, populary known by his stage name as Churchill has finally decided to start his own Television station. The uproarious and witty comedian who has been in the game for more than 15 years broke the good news at The Rift Valley Sports Club in Nakuru on Saturday night where he was attending an event. 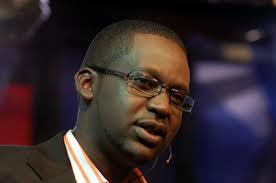 Churchill currently co-hosts the biggest morning show in Kenya alongside Maina Kageni at Classic 105. He is the host and founder of Churchill show and Churchill raw which are both aired at NTV.